There are more than 500 salamander species living on every continent except Antarctica. They vary in size, color, body type, and habitat, but generally look very similar in appearance with sleek bodies, short legs, and long tails. However, some species have fewer limbs and can even resemble an eel. 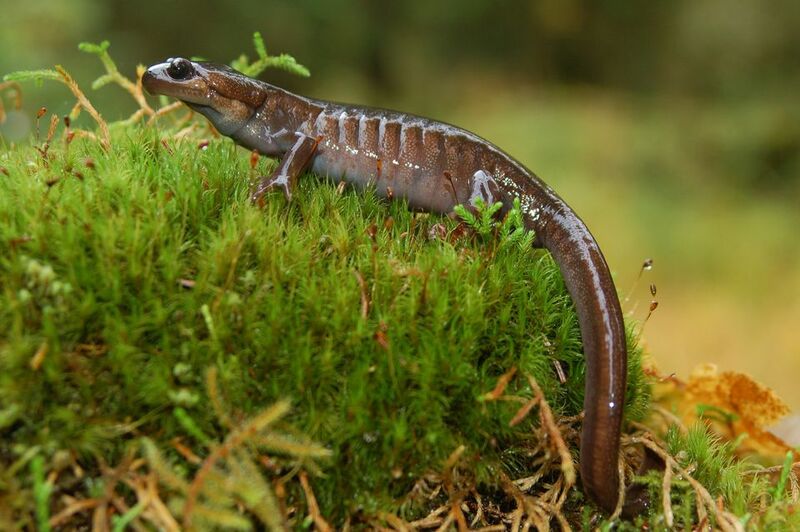 Salamanders are most closely related to the newt, a smaller amphibious lizard. Like newts and lizards, the salamander has the amazing ability to regrow lost limbs and sometimes regenerate other parts of their body. Fire Salamanders, Tiger Salamanders, and Ribbed Newts respond to their owners and will easily eat out of your hand. However, to pick them up, do so with wet hands or latex gloves and only when necessary. Residue or oil on your skin can harm amphibians; they also have very delicate skin and even microscopic tears can allow harmful bacteria in which will havoc on your pet. In addition, if you hold a spotted salamander, it's body temperature will rise quickly by absorbing your own heat and this can be harmful to your pet. All amphibians secrete toxins—don't allow their secretions to come in contact with your eyes, mouth or any open wounds. Salamanders are sturdy, have cute features, and live a long time for their size. However, many amphibians are about as active as the age-old “pet rock”…and they are night creatures to boot! However, some nocturnal species can adapt to your daytime schedule with time. Tiger and Fire salamanders do particularly well adapting to your daylight hours. Try a red night-viewing bulb so you can observe slimy salamanders and their nocturnal brethren. The largest salamander in the world in the Chinese Giant Salamander which can be five feet long. Some salamanders and frogs have tongues up to ten times as long as their bodies. Here are some fun and funky names for your salamander or newt. There are some names for pairs of animals, too.